Here’s how to use your computer’s webcam to add a photo to a new idea. To begin using the webcam, select the Webcam icon under Attach Media. 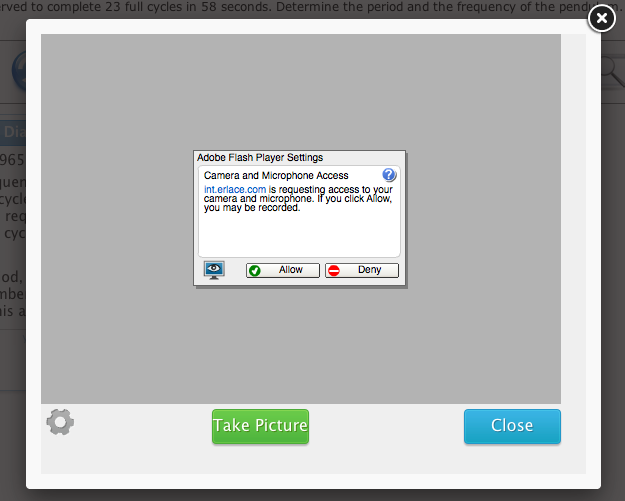 Through your Adobe Flash Player, InterLACE will request access to your webcam. Selecting “Allow” will enable to use the webcam feature. To capture your image, press the button. If you are satisfied with your captured image, select the button. After selecting to upload your image, you will see your image at the bottom of the Add Idea box. Select the button to post your new webcam image.